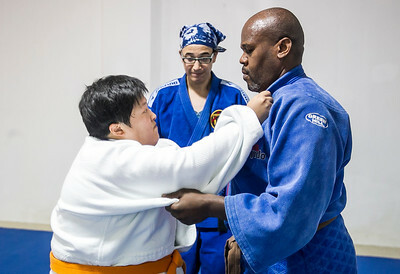 Sarah Nader - snader@shawmedia.com Sarah Chung (left), 27, of Crystal Lake trains with Howard wilson of Chicago at a judoka studio in Chicago Thursday, September 1, 2016. Chung is training to compete in judoka at the Paralympic Games in Rio on September 7-18. She is legally blind and she's also running the Chicago Marathon this year. 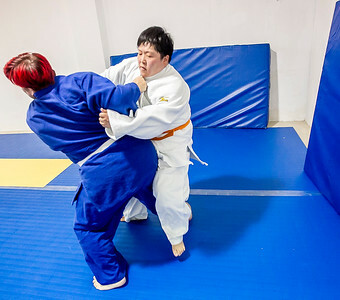 Sarah Nader - snader@shawmedia.com Sarah Chung (left), 27, of Crystal Lake trains with Angela Geis of Chicago at a judoka studio in Chicago Thursday, September 1, 2016. Chung is training to compete in judoka at the Paralympic Games in Rio on September 7-18. She is legally blind and she's also running the Chicago Marathon this year. Sarah Nader - snader@shawmedia.com Sarah Chung, 27, of Crystal Lake trains at a judoka studio in Chicago Thursday, September 1, 2016 while training for the Paralympic Games in Rio on September 7-18. Chung is legally blind and will be competing in judoka at the games and she's also running the Chicago Marathon this year. Sarah Nader - snader@shawmedia.com Danielle Tanimura of Chicago (center) coaches Sarah Chung (left), 27, of Crystal Lake with Howard Wilson of Chicago at a judoka studio in Chicago Thursday, September 1, 2016. 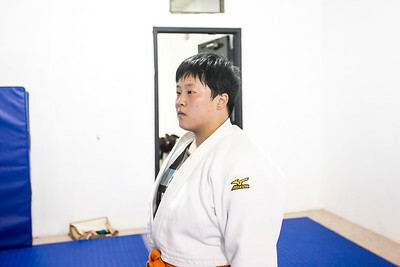 Chung is training to compete in judoka at the Paralympic Games in Rio on September 7-18. She is legally blind and she's also running the Chicago Marathon this year. 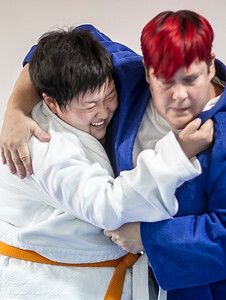 Sarah Nader - snader@shawmedia.com Angela Geis (left) of Chicago helps train Sarah Chung, 27, of Crystal Lake at a judoka studio in Chicago Thursday, September 1, 2016. Chung is training to compete in judoka at the Paralympic Games in Rio on September 7-18. She is legally blind and she's also running the Chicago Marathon this year. Sarah Chung, 27, of Crystal Lake trains at a judoka studio in Chicago Thursday, September 1, 2016 while training for the Paralympic Games in Rio on September 7-18. Chung is legally blind and will be competing in judoka at the games and she's also running the Chicago Marathon this year.